The period of appointment is for 3 years subject to satisfactory performance to be reviewed on annual basis. It may be noted that the appointment is purely temporary and the candidate shall not carry any right to seek regular employment after completion of term. 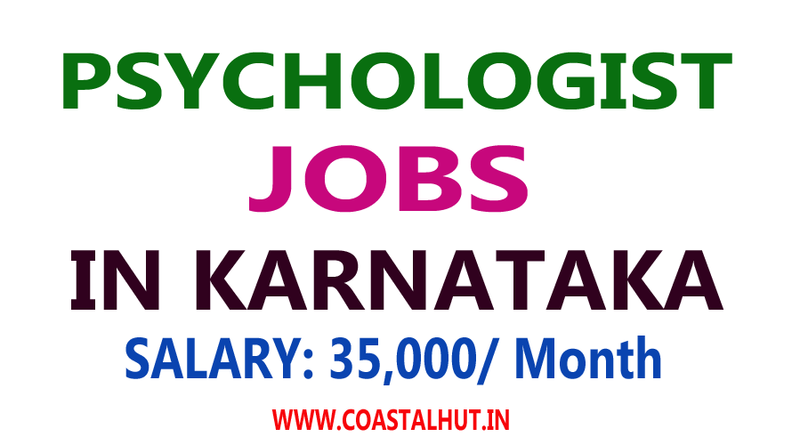 The monthly emoluments for the post of psychologist will be fixed Rs.35000/- p.m. (consolidated). However, emoluments are negotiable in deserving cases. The job requirements of the psychologists will be as follows: 1. Work with student communities, staff and their dependents to improve mental health issues 2. Help students define goals, plan, action and gain insight Any candidate interested to apply may send his/her CV through e-mail to recruit.iisc@gmail.com. Closing date for receipt of applications: 30th November 2017.